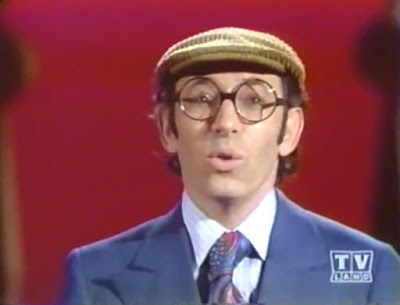 Stanley Myron Handelman (1929 – 2007) was an American stand-up comedian who, during a ten-year period between 1965 and 1975, appeared on numerous television variety shows. The Brooklyn-born Handelman was a late 1960s fixture on programs such as The Merv Griffin Show, Dean Martin Presents the Golddiggers, The Barbara McNair Show, The Flip Wilson Show, The Ed Sullivan Show and The Tonight Show Starring Johnny Carson. His stooped, resigned appearance and surreal sense of humor ("I just got up from a sick bed. I don't know what's wrong with it—it just lies there") made him a highly-recognizable celebrity on the talk show circuit and resulted in about ten appearances on Johnny Carson. After the demise of the TV variety shows, he accepted a handful of acting roles and subsequently taught in Los Angeles the art of stand-up comedy. Here's a sample of Handleman performing on The Flip Wilson show. Enjoy! So well done and so funny.